Chipping Campden in Gloucestershire Cotswolds England UK was in the past a thriving and very wealthy market wool town. It now boasts one of the most popular villages with tourists in the Cotswolds. 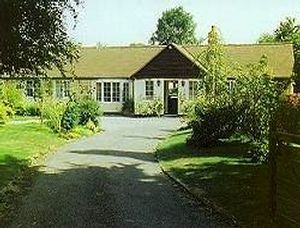 It has a good variety of accommodation in the form of hotels, B&B's, holiday cottages and inns. The village is particularly endowed with a good selection of restaurants and tea shops. Kings combines traditional character with contemporary style to create a relaxed and welcoming home away from home for every guest, whether for business or pleasure. The dedicated team at Kings draw on a wealth of experience to ensure your stay will be memorable and comfortable. Breaks are valid from 01/01/19 – 31/03/19. Prices are stated per room per night, based on double occupancy. Bank holidays and certain key dates excluded. 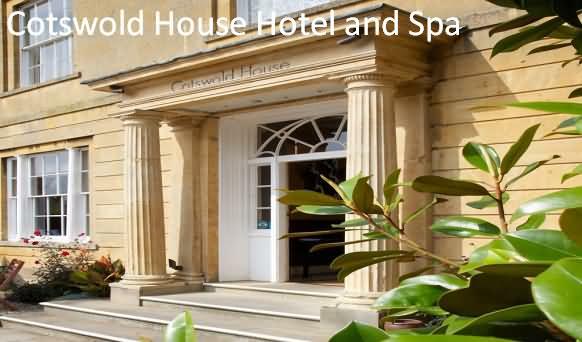 Cotswold House Hotel and Spa is in the heart of Chipping Campden, with two acres of landscaped townhouse gardens behind it. It has overlooked the Square for more than 200 years, and for the last ten has been one of the most prestigious hotels in the Cotswolds. Its 28 bedrooms include garden cottages and suites, some with private gardens and hot tubs, limestone baths and mood lighting, and all designed to be comfortable and indulgent. Rooms include a flat-screen TV, excellent bathroom facilities, and facilities for making tea and coffee. Beautifully executed dishes are served in the restaurant, created using the freshest ingredients. Morning coffee, teas and light lunches are served on the terrace in summer, surrounded by colorful borders, and traditional afternoon tea is a must by the roaring log fire in the winter months. Guests can also relax in the spa, in the former coach house. Features include a hydrotherapy pool and hammam room, as well as six treatment rooms. Massages, maintenance treatments and full-day spas are also available. Set in the beautiful Cotswolds countryside, Charingworth Manor is a 14th-century manor house in 54 acres of grounds, providing the perfect base from which to explore the picturesque area. 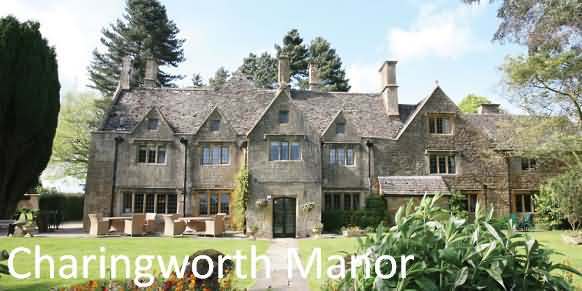 Charingworth Manor boasts an indoor heated swimming pool, sauna, steam room and solarium. There is also a fully-equipped gym and an outdoor tennis court. Guests will enjoy scenic walks on the grounds. The John Greville Restaurant serves excellent AA Rosette standard cuisine, using local produce, in elegant, intimate surroundings. Each spacious room is furnished with antiques and fine fabrics, with private bathrooms and a plasma-screen TV. 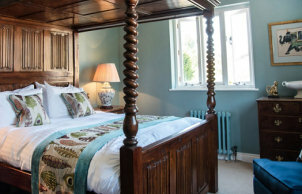 Some rooms have charming vintage features and boast wonderful views of the Cotswold countryside. Manor Farm is a beautifully restored and renovated traditional oak-beamed farmhouse built in 1624 which has been in our family for 5 generations. All the character & tradition of a Cotswold farmhouse is complemented by luxury king-size beds & contemporary bathrooms (with power showers etc.) for your maximum comfort during your stay. All rooms are en-suite. It is part of an 800 acre working farm .with Horses, Pedigree Charolais cattle & sheep. There is an abundance of Wildlife in the surrounding field & woods..
Manor Farm is an ideal location for exploring the Cotswolds, Stratford upon Avon, Cheltenham and Oxford. There is an excellent choice of pubs and restaurants in the surrounding towns and villages. The room rate includes a sumptuous breakfasts using fresh produce according to season. We have plenty of off-road parking and there is no charge! To set you up for the all important days sightseeing there is the Traditional Manor Farm Breakfast which means that you can skip lunch! For all stays of 5 nights or longer we give you a Free Farm Tour from the comfort of our Landrover Discovery where my husband ‘Pup’ will give you a very entertaining tour of the village and farm which you will not forget in a hurry and will probably be the highlight of your trip to ‘The Cotswolds’!! For those who stay a night or two we also try our hardest to fit in a tour for you! We also have free Internet Access for checking e-mails whilst you are away and Maps/Guides are also available with a comprehensive folder on what to do/where to go!! We can also reserve a table for you at local Restaurants/book Horse riding/Golf etc. and we also have 2 for 1 vouchers for local tourist attractions. Brymbo Bed and Breakfast is a comfortable farm building conversion, set in tranquil surroundings in the beautiful Cotswold countryside. Situated close to Stratford upon Avon, Broadway and Chipping Campden, with easy access to Oxford and Cheltenham, it provides an ideal base for walking and touring in the Cotswolds, and visiting the Royal Shakespeare Theatre. There is a large garden with parking for visitors. Children and well behaved pets are welcome. All accommodation is on the ground floor with full central heating; one of the sitting rooms has an open log fire and the other has panoramic views, whilst the breakfast room shares the views and enjoys the morning sunshine, subject to the English weather of course!!. A traditional or vegetarian cooked breakfast is available, with home made bread and our own preserves. Our visitors are welcomed with a tray of tea to a friendly informal atmosphere. There is an extensive selection of local information and special tips on where to go and places to eat. If you stay 3 nights or more we offer a complimentary four-wheel-drive tour showing you unusual and interesting places so you can return and explore further at your leisure. Folly Farm Cottage was once a barn belonging to Folly Farm next door. It has been restored and extended to provide our guests with luxuriousfour star gold awardedaccommodation and attention to detail of the highest standard. So whether you are looking for a quiet romantic getaway or an energetic walking holiday, you need look no further. We have created a perfect place to unwind. 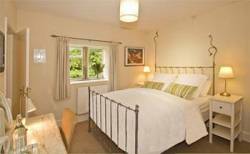 Wake up to the sun streaming through your bedroom window, listen to the birds singing in the cottage gardens below. Relax and take a late breakfast served in your room, if you wish or join friends and other guests in our sunny dining room. with king sized four poster beds and double whirlpool baths. All rooms are individually styled with antique furniture and cosy arm chairs, flat screen TV and DVD player, with access to our extensive DVD library, clock radio, hair dryer, hospitality tray with a selection of tea, coffee, biscuits, chocolates and home baking. Warm and cosy in winter and cool in the summer. Set in a valley at the foot of the Campden Hills we are four miles from Chipping Campden and only seven miles from the picturesque old town of Stratford-upon- Avon home of Shakespeare's birthplace and many beautiful old houses and shops. see our website for comprehensive details. All our accommodation is strictly non-smoking, unsuitable for children and we do not take pets. 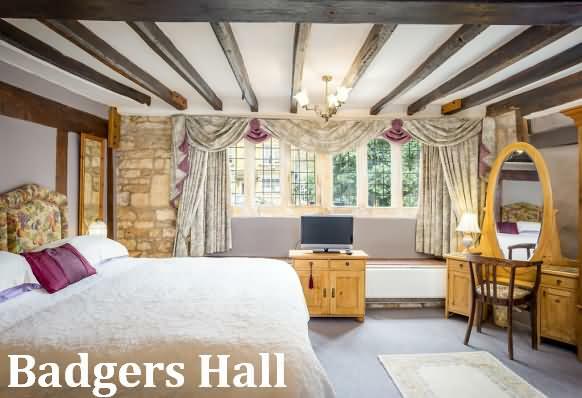 Located in Chipping Campden in the Costwolds region, Badgers Hall B&B is set in a Grade-II listed building dating back to the 15-th century. It offers a garden, free WiFi and free public parking is available nearby. Featuring wooden exposed beams, each room comes with a TV with DVD player, tea and coffee making facilities and an en-suite bathroom with shower and hairdryer. Every morning, a full English breakfast is served at the property. Local activities include walking along the Costwold Way, one hundred miles to Bath, starting in Chipping Campden. Local attractions include the Broadway Tower, 4 miles away and Broadway Golf Course, 2.6 miles away. This property also has one of the best-rated locations in Chipping Campden! Guests are happier about it compared to other properties in the area. This property is also rated for the best value in Chipping Campden! Guests are getting more for their money when compared to other properties in this towny. 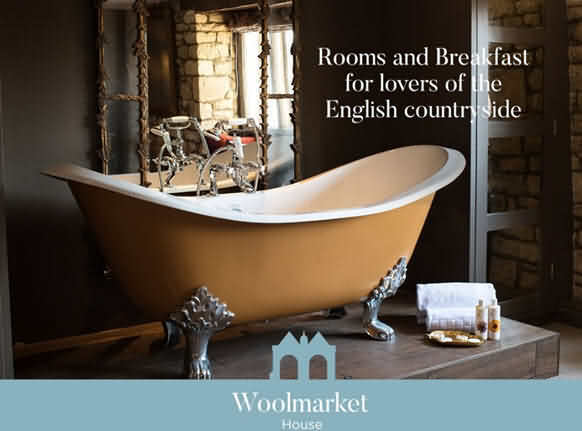 Welcome to Woolmarket House, luxury boutique-style bed and breakfast accommodation in Chipping Campden. We are as individual as our lovely guests. Our gorgeous rooms and personal service offer the perfect bespoke country getaway. We don't hold back on breakfast - why would you? It's a generous affair shared with guests in our breakfast room. And you don't have to go far for dinner, unless you want to, as housed in our same historic 17th century listed townhouse is Michael's; our family-owned Mediterranean restaurant, popular with local residents, visitors and foodie critics! We love working with our third party partners, and you may have seen us listed on travel websites, but we like to say a special thank you to all our guests who book directly with us, and offer them complimentary bottle of fizz which will be waiting for them when they arrive. This unique accommodation was once the dry-loading bay for a historic water mill and retains original features including exposed beams and huge mill windows. The peaceful Warwickshire village of Tredington is ideally situated between the Cotswolds and Shakespeare country, with ten National Trust properties and many other artistic and cultural centres within 20 miles. The large rooms are very light and airy and fully central heated, so they feel cosy even in mid-winter. 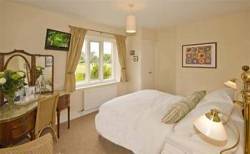 All rooms have exceptional views either up to the church or over the mill pool. The accommodation is on two floors: The living room, kitchen/dining room, and WC are on the first level. On the next floor there are one double and one twin/double bedroom. The bathroom has a shower over the bath. Bring your canoe and go for a paddle or take a bottle of wine up to the weir and watch out for the local wildlife, the island is yours – with the odd chicken or two! Tredington village is surrounded by quiet countryside in a conservation area. It has a mediaeval church filled with reminders of centuries of history, remarkable period architecture, and a children’s playground. The pub has a comprehensive food menu and garden. The historic market town of Shipston-on-Stour is two miles away – for restaurants, take-aways, pubs, supermarkets, banks, post office, chemist, a leisure centre, and a wide variety of small shops. Access is easy from the M40 at Warwick. There are nearby rail stations – both Stratford-on-Avon (for Birmingham) and Moreton-in-Marsh (for London) are only eight miles away. Tredington is on a local bus route. Owners, Sally and Jonathan, live next door. We are happy to help with enquiries or local information, and welcome Pool View residents into the garden. We will always respect your privacy. Children are welcome - but they do need to be supervised near the river. See our Web site for more details and pictures, together with prices & availability. We can be flexible on dates for longer/shorter stays when possible. Part of an 18th century water mill in the quiet Warwickshire village of Tredington, Puddle Cottage is in a charming riverside location with its own secluded garden and steps leading down to the mill stream. Recently completely restored, this well-appointed cottage is on the edge of the Cotswold Hills and ideally placed for exploring Shakespeare Country. 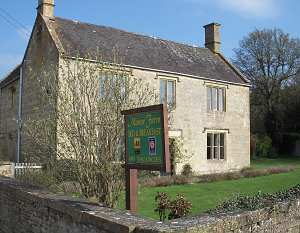 Tredington is surrounded by quiet countryside in a conservation area. It has a mediaeval church filled with reminders of centuries of history, remarkable period architecture, and a pub with comprehensive food menu and garden. The village also has a children’s playground. The historic Market Town of Shipston-on-Stour is two miles away for restaurants, take-aways, pubs, supermarkets, banks, post office, chemist, a leisure centre, and many small shops for fresh produce. Access is easy from the M40 at Warwick or by rail – stations at Moreton-in-Marsh (for London) and Stratford-on-Avon (for Birmingham) are both eight miles away. Tredington is on the local bus route. In this peaceful retreat, French windows open onto a courtyard garden with a table and chairs – the perfect spot to catch the sun and enjoy an evening drink with an unspoilt view that can include anything from kingfishers to swans, herons and even sometimes otters. 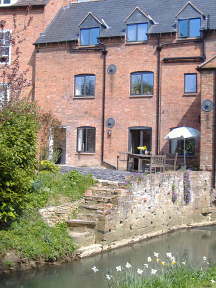 The mill stream means that Puddle Cottage is not suitable for unsupervised children, but well behaved pets are welcome. The centrally heated, non smoking accommodation retains many original features including exposed beams. It is on three floors. There is a fully fitted kitchen (electric hob and oven), dining area seating four, and lounge space with a widescreen TV on the ground floor. The first floor sleeps two in a double room with a separate shower room/WC. On the top floor there is a twin/double bedroom sleeping two, connecting to an en-suite bathroom, with a shower over the bath. See our Web site for more details and pictures, together with prices and availability. 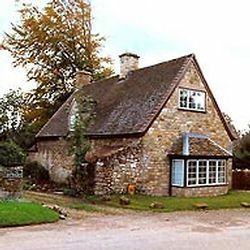 Honeypot Cottages offers a delightful selection of holiday cottages, in and around the Cotswold market town of Chipping Campden, Broadway and surrounding villages. The North Cotswolds is a designated Area of Outstanding Beauty (AONB). With it's honey coloured stone, medieval architecture, the Cotswold Olimpicks and the influences of the Arts & Crafts movement, the North Cotswolds offers an abundance of history in a stunning location. At Honeypot Cottages, we pride ourselves on offering quality self catering accommodation for short breaks and longer stays. We endeavour to make guests feel as if you’re the first people to stay in a cottage and to feel your needs have been catered for throughout your holiday. We are on call to assist with any requests from point of enquiry through to the day of departure. Our cottages are in and around the Medieval Cotswold market town of Chipping Campden and surrounding villages. We can arrange most things to make your stay a memorable one, whether it be a relaxing massage with a local therapist or clay shooting with an ex England shooter. 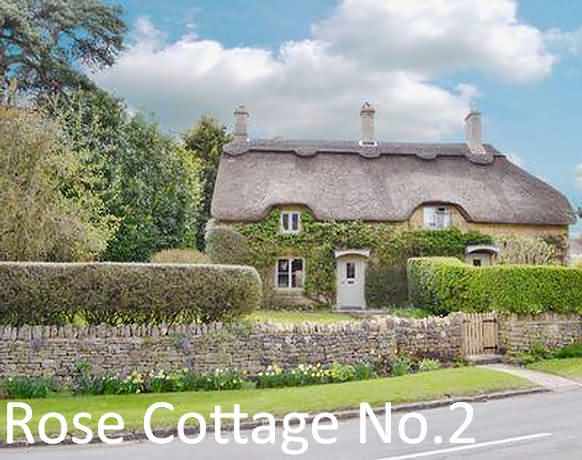 Please see our website for full details of the Cotswold holiday cottages we have for hire and contact us if you are interested in renting a cottage. This mid terraced character cottage is prettily and thoughtfully decorated and furnished in traditional style, with beams and an open fire, yet offers the convenience of a modern kitchen and bathroom. There is quick and easy access to Stow on the Wold, Bourton on the Water and, of course, Stratford Upon Avon. Country markets, National Trust properties and welcoming village’s inns are all close by. Manor Farm Cottage will comfortably accommodate 4 people. The interior consists of a lounge / diner, kitchen, bathroom and shower over bath, toilet and basin. There are two bedrooms one double and one twin bedroom. A supermarket is located 3 miles away, and a pub / restaurant is 250 yards away. Manor farm cottage is equipped with night storage heating, electric heating and an open fire in the lounge. All fuel and power are included in the rent together with bed linen and towels. Located in Chipping Campden (550 yards from Village center). he property features views of the garden and is 30 miles from Oxford. A dishwasher and an oven are provided in the kitchen. A TV is provided. There is a private bathroom with a bathtub. 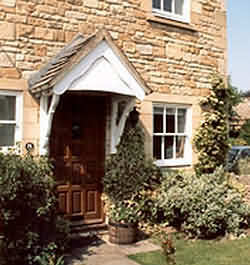 Stratford-upon-Avon is 11 miles from Rose Cottage No2, and Cheltenham is 16 miles from the property. The nearest airport is Birmingham Airport, 28 miles from Rose Cottage No2. This property also has one of the top-rated locations in Chipping Campden! Guests are happier about it compared to other properties in the area. This property is also rated for the best value in Chipping Campden! Guests are getting more for their money when compared to other properties in this city. Carol Cottage is an end-of-terrace cottage with parking for two cars. Built of Cotswold stone with exposed timber beams. Situated in a quiet position at the rear of a 14th Century Coaching Inn and within 50 metres of the famous High street of Chipping Campden with its Jacobean Market Hall and 15th Century Church. Close to the Cotswold Way footpath and within easy reach of Stratford-upon-Avon, Cheltenham and Oxford. Ideally situated for walking, racing, gardens (i.e. Hidcote), Stratford Theatre, antique shops. 1 Double, 1 Twin & 1 Single, Bath/Shower, Colour TV & DVD, Linen, Washer/Dryer, Car parking x 2, 4 Star rating. Use of Tennis Court by arrangement. This charming Cotswold stone mews cottage enjoys an enviable position in the heart of the beautiful village of Chipping Campden within a few yards' stroll of many quaint shops, tea rooms, traditional inns and restaurants. Newly refurbished, Noel Cottage makes an ideal base from which to explore the myriad delights of the Cotswolds. This is glorious walking country – the Cotswold Way starts in the village and local walks include one to Dovers Hill (N.T. ), a famous beauty spot. Hidcote Gardens (N.T.) and Broadway's antique shops and golf course are just 3 miles distant, and Stow on the Wold, Batsford Arboretum at Moreton-in-Marsh and Cheltenham's racecourse, galleries and shops are a short drive. Comfortable sitting/dining room with electric 'wood burner effect' fire. Well equipped kitchen. First floor: Twin bedded room. Bathroom/WC (shower over bath). Use of Tennis Court by arrangement. 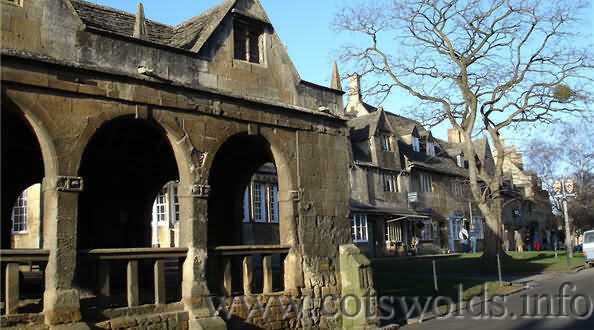 Cowfair is tucked away in a quiet position in the picturesque village of Chipping Campden. 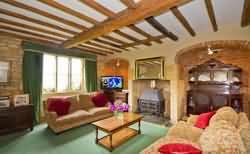 This comfortable, detached, Cotswold stone cottage is just 300 metres from the village centre and its many excellent restaurants. The cottage consists of entrance hall, large kitchen with a range of fitted units, fridge/freezer, microwave and dining alcove. Utility room with washer/dryer, cloakroom, W.C. Sitting room with electric log-effect wood burner and French windows opening out on to the terrace and private walled garden. Sleeps 4 in one twin and one double bedroom. Bath and shower, car parking and free WiFi. Gas and electricity is all inclusive. Use of tennis court by arrangement with owner. 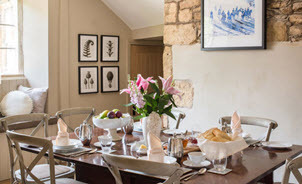 The Lodge at Highcroft, Ilmington, is a luxury detached, boutique hotel style retreat for up to 2 adults in the grounds of our part 18th Century Cotswold stone home built into Campden Hill with fine views over the Ilmington Downs and beyond. You will find we are perfectly located just a few miles from Stratford-upon-Avon and many famous Cotswold villages including Chipping Campden, Broadway and Stow-on-the-Wold plus numerous places of historic interest. To make your stay as simple and relaxed as possible, included in the rates you will find a Welcome Breakfast Basket including fresh milk, healthy cereals, butter, home-produced eggs, yogurts, bread, marmalade, local honey, fruit juice, selection of teas, drinking chocolate, coffee and Blenheim bottled water. 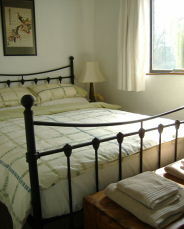 mid-week; £350.00 7 nights Fri to Thurs inc. See website for full information. No.4 Manor Barns is a three bedroomed private home in the Cotswolds village of Ilmington that has recently been refurbished to a high standard with a brand new kitchen, bathroom and furnishings throughout. Ideally the home sleeps 4 persons with King size double bedroom and two single bedrooms (one of which can be converted to a double if required). With light, airy, luxurious and spacious accommodation, a pretty walled garden and within easy walking distance of our famous pub, village shop and rolling hills, we provide the perfect base from which to enjoy your vacation. While staying at our home you are welcome to use a 10% discount facility available at the Howard Arms if you choose to eat there. We are very happy to make reservations on your behalf. We only take bookings for 3 nights or more as we want to make sure the property is properly prepared for our next guests. The Eight Bells was originally built in the 14th century to house the stonemasons that built St. James' church and was later used to store the peel of eight bells that were hung in the church tower hence its name. 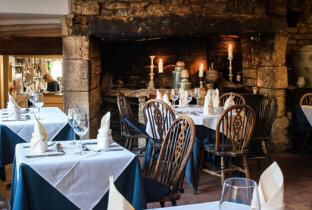 The Inn was rebuilt using most of the original stone and timbers during the 17th century. What exists today is an outstanding example of a traditional Cotswolds Inn. 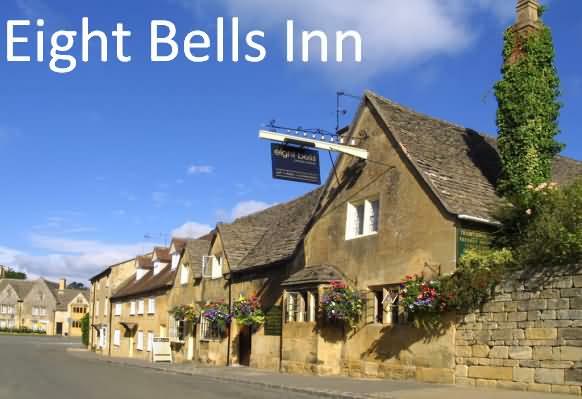 Located in Chipping Campden, 30 miles from Birmingham, Eight Bells Inn features a restaurant, bar and free WiFi throughout the property. All rooms are fitted with a flat-screen TV. Some accommodations feature a sitting area where you can relax. For your comfort, you will find free toiletries and a hairdryer. Oxford is 30 miles from Eight Bells Inn, and Stratford-upon-Avon is 10 miles from the property. Birmingham Airport is 28 miles away. 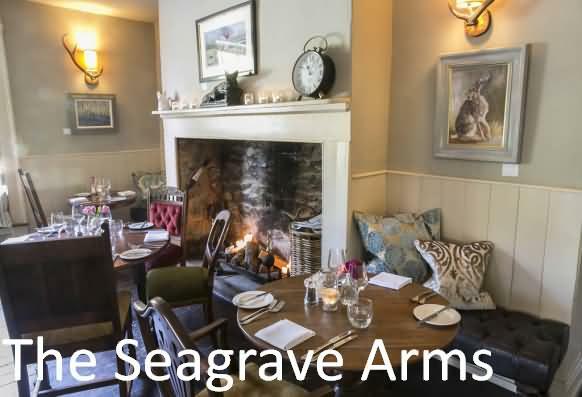 The Seagrave Arms is a charming Cotswolds inn and restaurant with eight en-suite guestrooms. Set in the heart of the Cotswolds, mid-way between the villages of Chipping Campden (2.1 mile) and Broadway (3 miles) and just 20 minutes drive from both Cheltenham and Stratford upon Avon. We source and purchase all of our food from local farms and suppliers and stock our bar with award-winning real local ales and gin from Cotswolds Distillery, just 20 minutes down the road. We look forward to welcoming you to The Seagrave Arms soon. Featuring free WiFi, a restaurant and a terrace, Seagrave Arms offers accommodations in the village of Weston-sub-Edge, just 29 miles from Birmingham. Guests can enjoy the on-site bar. Free private parking is available on site. The rooms have a flat-screen TV. Certain units have a sitting area where you can relax. You will find a kettle in the room. All rooms are fitted with a private bathroom equipped with a bathtub or shower. For your comfort, you will find free toiletries and a hairdryer. Stratford-upon-Avon is 10 miles from Seagrave Arms, and Cheltenham is 16 miles away. The nearest airport is Birmingham Airport, 27 miles from the property.